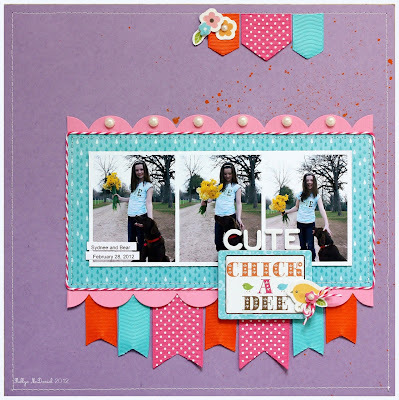 Whimsy by Shellye: Totally Terrific (and Busy) Thursday! Totally Terrific (and Busy) Thursday! 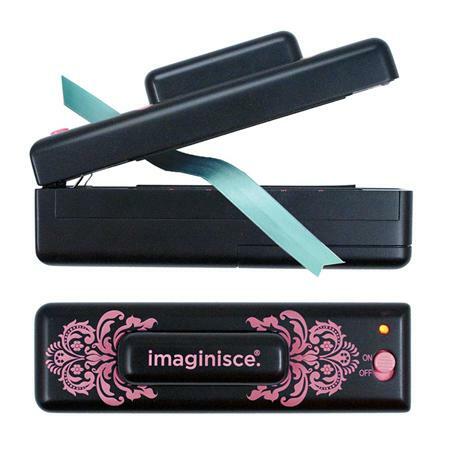 It's the coolest new ribbon cutting tool from Imaginisce. the Imagi-Cut seals as it cuts! No more frayed ribbon ends! 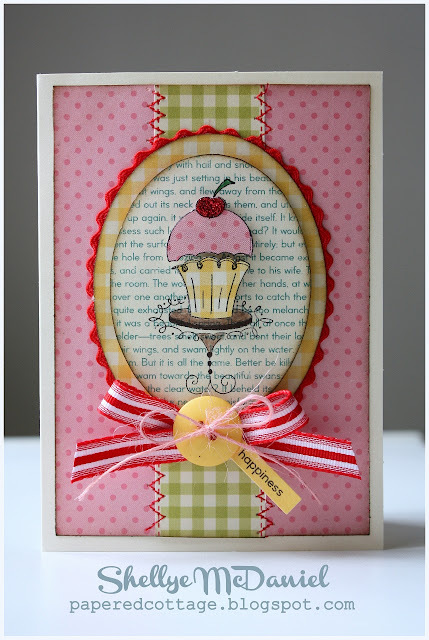 All week, video tutorials, as well as the Design Team's Imagi-Cut creations have been showcased on the blog. If YOU would love the chance to win one of these, then stop by and leave a comment on each day's blog posts :) You will love seeing the many ways to incorporate the Imagi-Cut into your crafting. This week's Challenge was "Anything Goes"
upcoming projects, wish lists, things-to-do, etc. leaving the top portion of the tag showing. 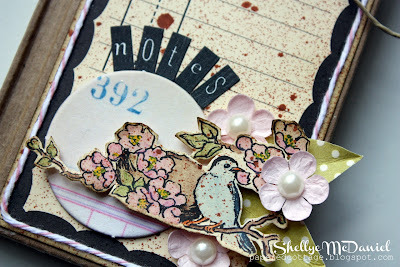 Next, I took a Vintage Black Journaling Tag and distressed it with a spritz of walnut ink. After the ink dried, I added a strip of Headings Rubons along the left hand side of the tag and then embellished with an Office Chipboard Button and letter stickers to spell out NOTES. 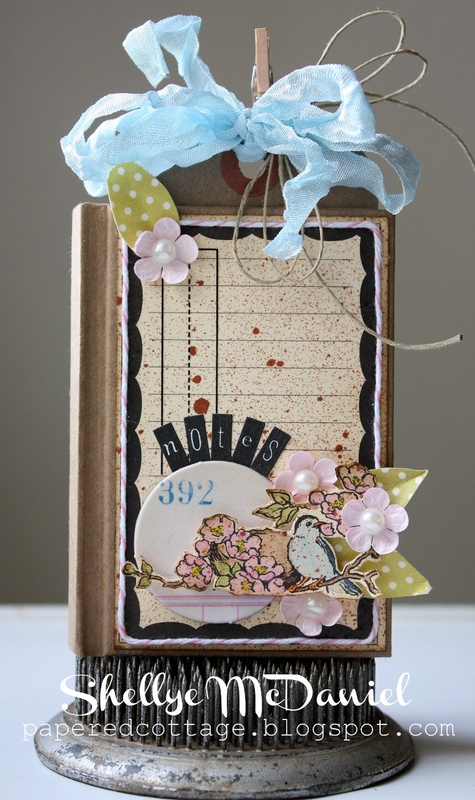 Wanting to add a little color, I watercolored and hand-cut the bird with flowers motif from the Vintage Black Journaling Tag and attached to the journal with foam dots. were brought out and a pearl accent added to the center of each. I also hand-cut a trio of leaves from a scratch piece of patterned paper. 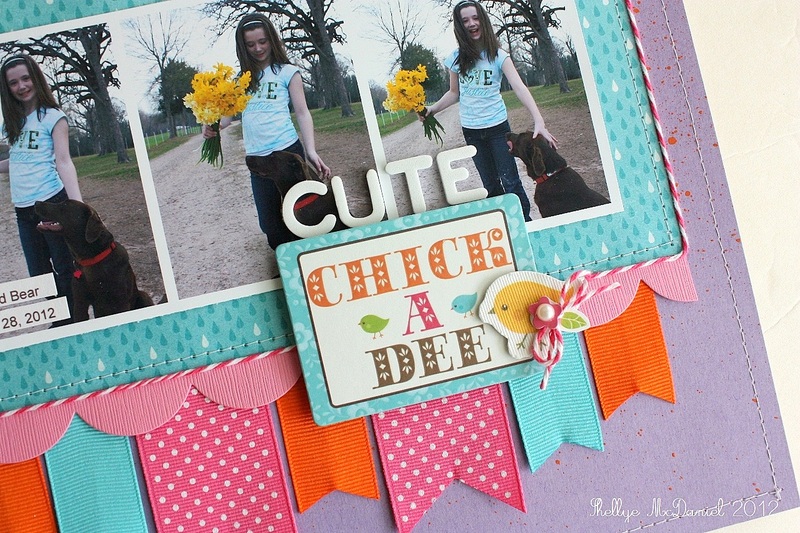 a border of baker's twine was added around the perimeter of the Journaling Tag. along with a Natural Hemp bow through the hole of the Kraft Tag. A Tiny Wooden Clothespin clipped to the seam binding completes the project! 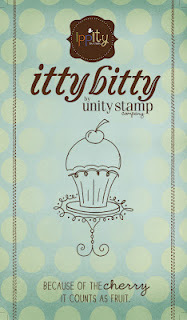 The final stop...I Heart Ippity for Totally Terrific Thursday! It makes me wish more than ever that I could draw! It has that Parisian flair...I love it! with the Sidewalks papers by October Afternoon. I layered the cupcake with the two different patterns of paper on foam dots. I then added just a bit of flair with red glitter for the cherry on top! It will probably be a quiet weekend. I did get my new cutting system (the eCraft), so I'll be tinkering with it.